The Tri-ang Juniors more often than not survive today with missing or damaged bonnet strips. Our polished metal strips are posted flat to you and you simply push on the strip starting from either end bending the soft strip into place and then just pinch up both the ends with your fingers. 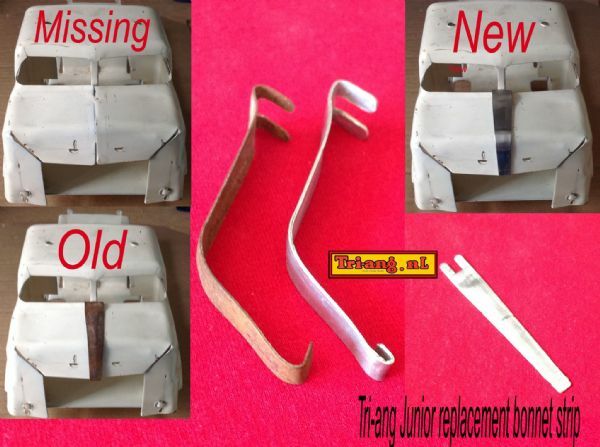 Nothing will break our metal is NOT brittle and the strip will fit snugly to your models engine bonnet. This strip goes some good way to returning the dignity and appearance to your once new model!